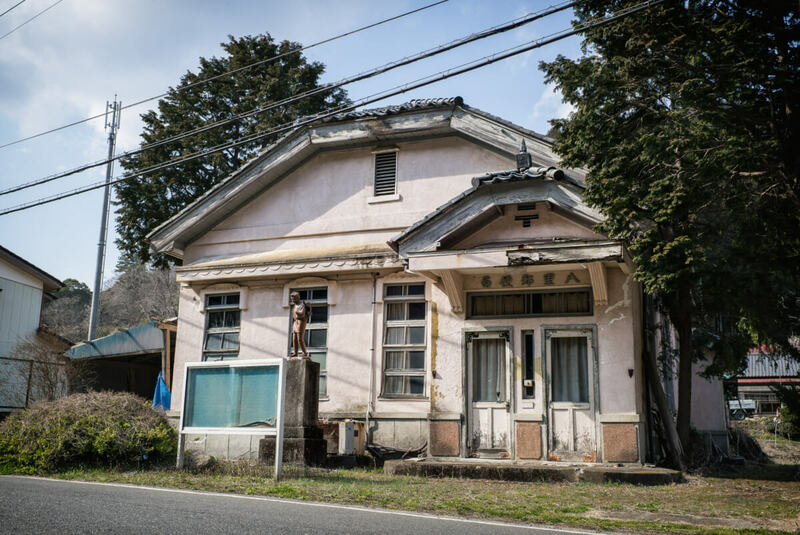 Some haikyo (abandoned buildings) are without a doubt incredibly sad, preserving, as they often do, a very personal document of a total stranger’s life. At the same time, others can be genuinely disturbing, due to the mutilated and decaying recreations of life that have been left behind. But now and again it is possible to find a place that is simply beautiful. Like this old post office that was closed in the early 90s. Exterior-wise it’s relatively interesting, as it makes a nice change from most modern Japanese buildings. It’s inside, however, where the real beauty lies. A space that despite being small and only sparsely furnished, has a warm, welcoming feel to it, making it a genuinely nice place to simply stand and soak up the atmosphere. 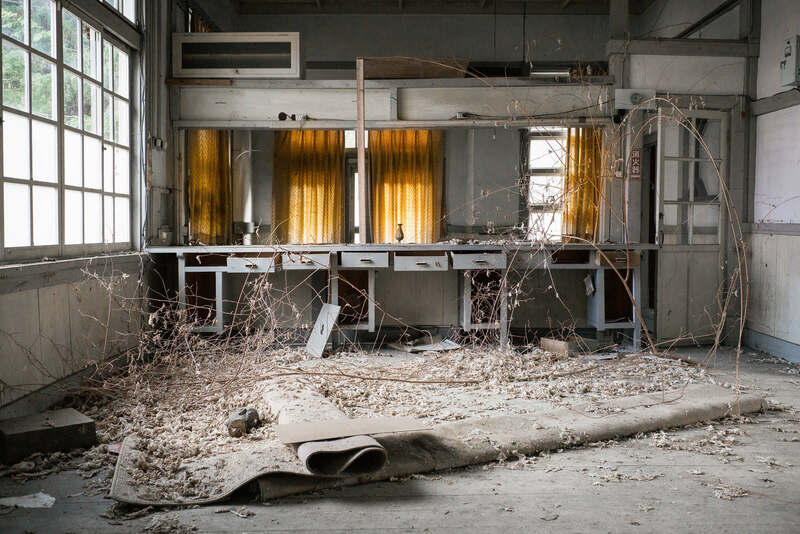 Plus as an added bonus, the adjoining room is slowly succumbing to nature — a sight that is always a pleasure to see. And finally, as a suitably nice send off, there’s a personal item left by one of the people who used to work there all those years ago. After way too long, I’ve finally put together an abandoned section in my portfolio site. 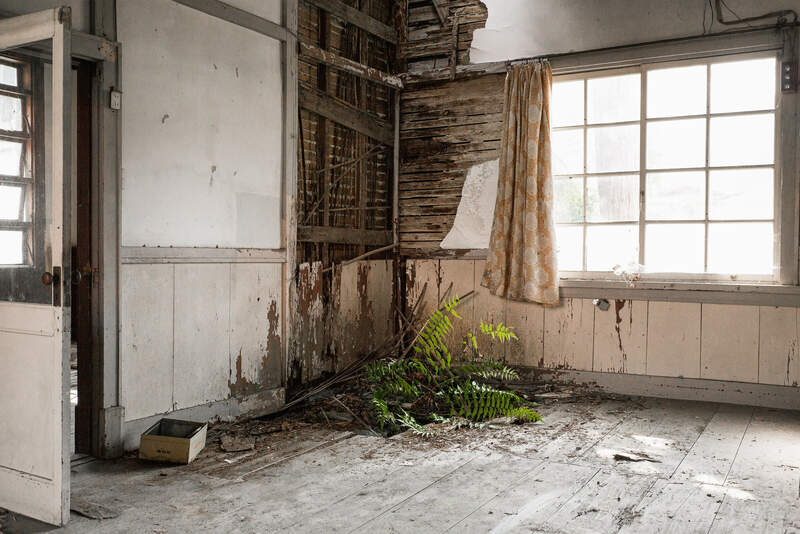 Imaginatively titled, The abandoned, it highlights some of the things I’ve found in a variety of buildings over the years. To take a look, just click here. Nice! These are always great photos. And like someone said in a previous post, your commentary makes it even better. Thanks! Thank you! It was a pretty special place. That’s very good to hear. One of the reasons it has took me so long to put a collection together for my portfolio is the concern over context. Without any info I worry they don’t have the same impact. Cheers. Very easy really as the light was pretty much perfect. It was all set up nicely for me. And yeah, it was a genuinely nice place to spend time in. Rare to feel so comfortable in a haikyo. I know my comments have had a problem in the past, they just don’t show up. I’m going to give it another try. Love this series Lee…you do the building proud. I am still here looking at every single shot tho. Thank you very much. Glad to hear it, as it really is a bit special. And thanks for trying again. Good to see it worked. Great to hear you have been here all along too. Even though those comments worked, I’ve just made some more changes, so fingers crossed there won’t be any more problems in the future. Really beautiful images, they are so peaceful. Thanks for sharing! Thank you. The place had a really nice vibe about it, so glad to hear some of that came though in the photos. I thought that too, but no expert, so maybe it’s not him? His brother the stamp collector, maybe?! I wonder if the building may have originally been a (rather small) elementary school. Or the statue moved when a school closed. Looks like the hand with the book has been lost, though is that a spare head inside? It’s certainly a possibility. 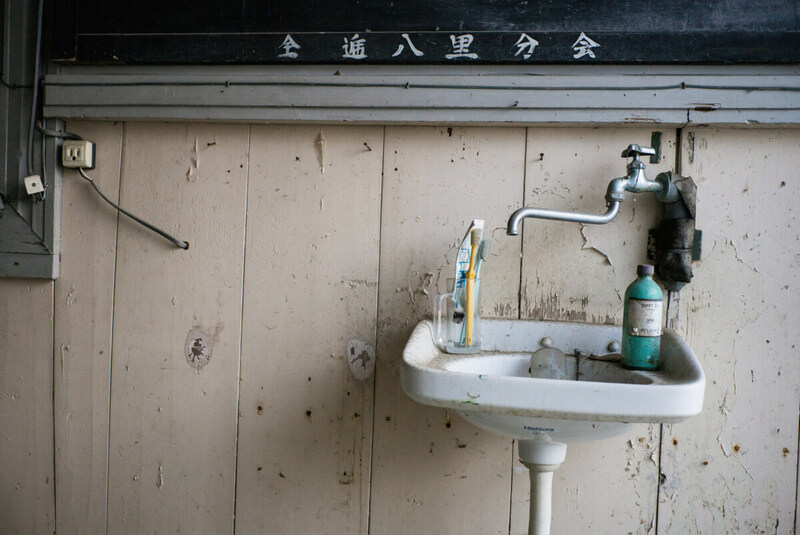 Outside the cities, so many schools have closed down due to a lack of students. And yes, that’s a head on the floor! I can totally understand the urge to move in, but apart from a hole in the door which would definitely be a bit drafty, what on earth needs fixing?! A fascinating group of photographs and special, as you say, because of the lack of negativity in the context. Cheers. Yeah, it simply closed down, and oddly, the new building is right next to it.